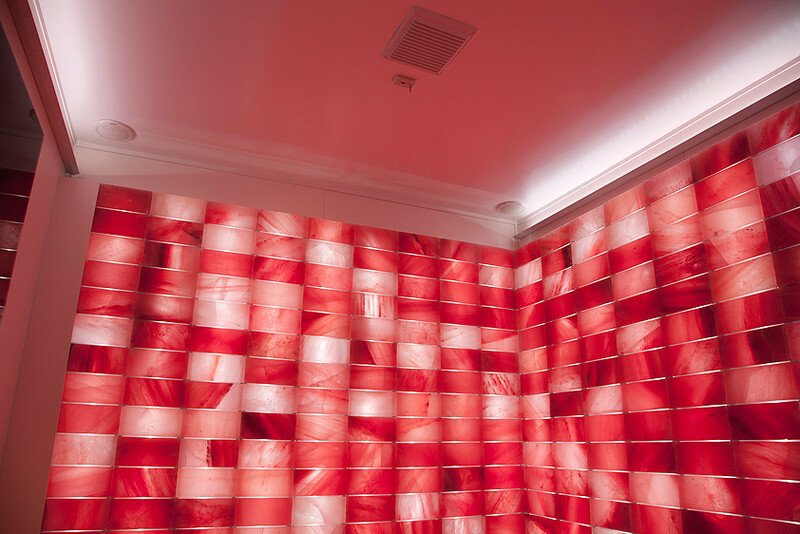 Salis is the salt room made with Himalayan salt, the first composed of a series of modules that can be combined to produce salt rooms as requested by clients, respecting their needs for space and easily creating a self-standing structure, functional and of great impact. The simple and intuitive control panel allows the environment to be programmed with the desired temperature and humidity level and changed with a few easy movements. 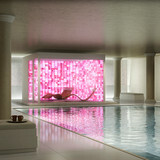 Music, chromotherapy and aromas complete the fantastic wellness offer to be found inside Salis. 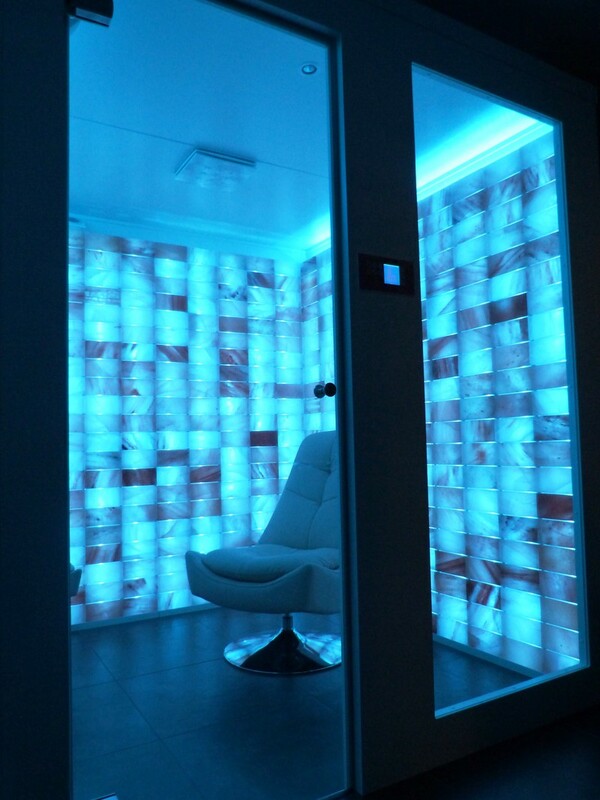 Salt rooms are used for halotherapy treatments. 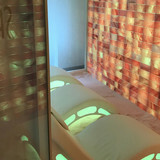 More commonly known as “salt therapy”, halotherapy is a totally natural method based on microparticles of crystalline salt nebulized in the atmosphere, which with their anti-bacterial and anti-inflammatory action are able to reinforce the immune system and eliminate muscular tension and stress. 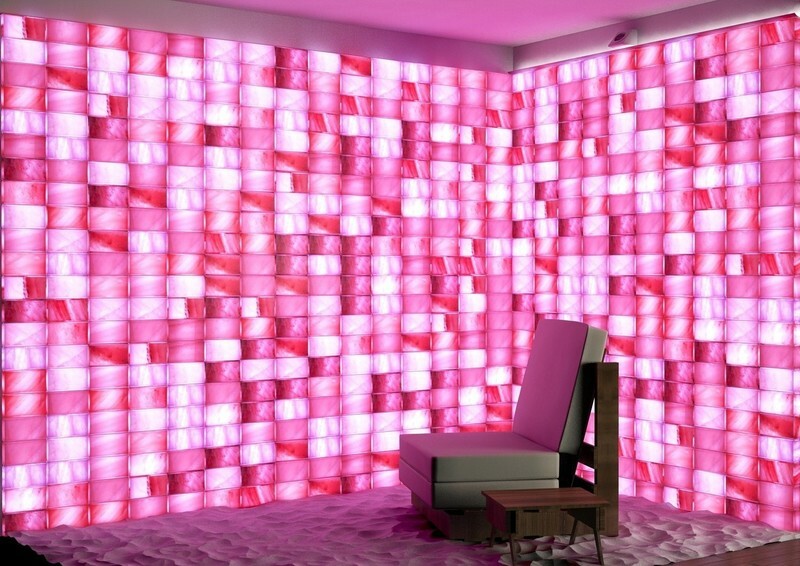 Salis is a modular salt room in which every module has a specific functional characteristic, allowing the final construction of the space in which it is positioned to be totally personalized. 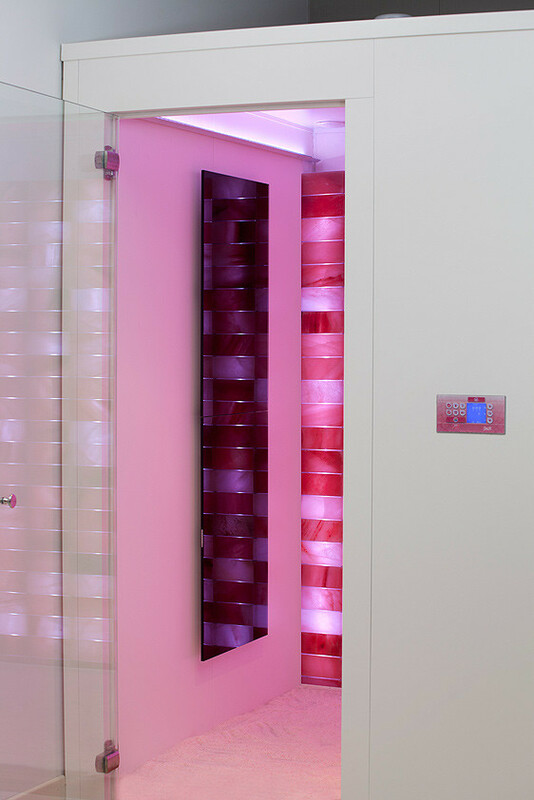 This function, controlled by commands on the keypad, allows the introduction of the hypertonic saline solution into the room to be regulated and programmed, creating a pure microclimate with temperature and humidity kept at constant levels. The saline solution is generated by an ultrasound nebulizer. 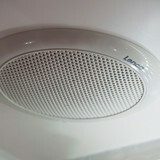 Humidity levels are maintained by an internal sensor, connected to the electronic control system. At the end of every session the extraction system for the air inside the salt room is automatically activated, regenerating the environment. 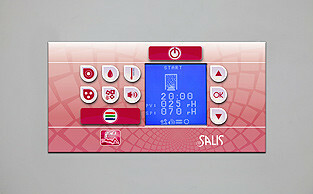 This function, controlled by commands on the keypad, makes it possible to regulate the temperature inside Salis automatically and constantly. 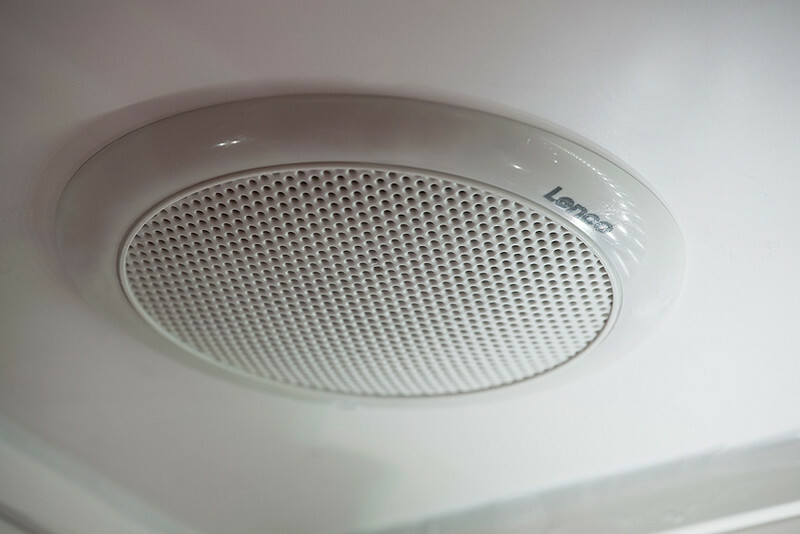 An ambient temperature sensor guarantees that the desired settings are maintained. This function, controlled by commands on the keypad and on the electronic diffuser, makes it possible to turn an electronic aroma diffusion system on or off during the nebulization phase. 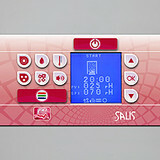 Inside Salis it is possible to play back personalized pieces of music that have been previously memorized on a multimedia memory card (SD), to accompany treatments. Some specific files memorized on the SD card are configured (name, type of music and duration) in a way that matches them to specific chromotherapy cycles, so that a particular piece of music corresponds to a specific colour cycle. This function is made possible by the presence of an SD card reader. 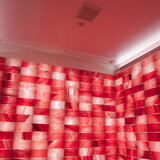 The music is played back through two loudspeakers located on the ceiling of the room. 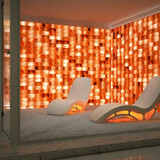 Salis features the use of programmed coloured light cycles, to be applied independently or combined with other functions. 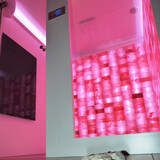 The chromotherapy function is applied by RGB LED lights positioned both on the rear of each column of salt blocks and on two horizontal supports that light the ceiling on walls without salt blocks. 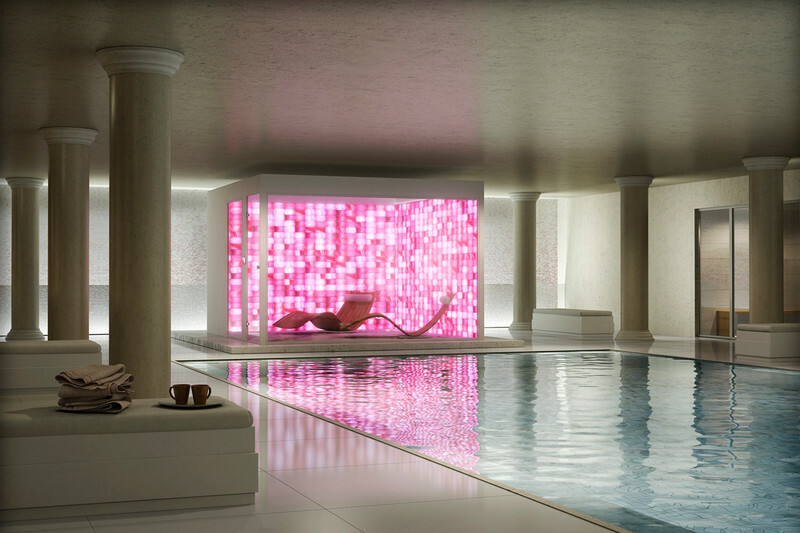 The various colour cycles can be combined with dedicated pieces of music. 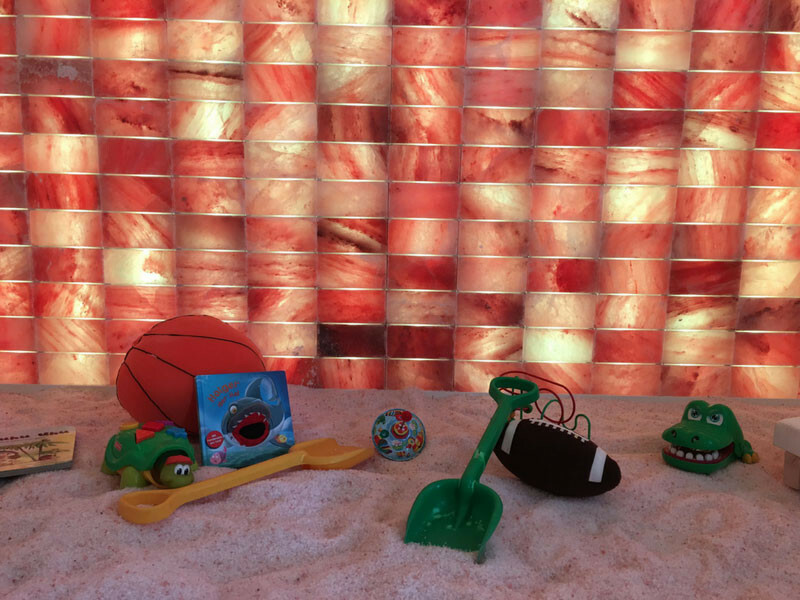 The benefits that the use of a salt room can give are described in many scientific articles dealing with the subject. 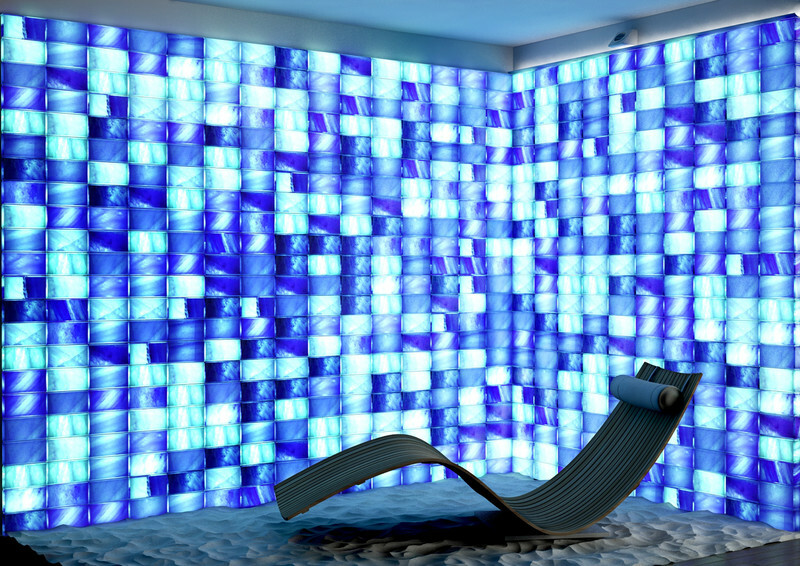 The beneficial properties of salt create a microclimate kept at constant levels of temperature and humidity. 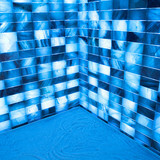 Users can enter the salt room partially clothed, and are able to relax, also enjoying the pleasantly calming effects of chromotherapy and music. 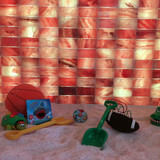 Even children can benefit from sessions in Salis, because the environment created reminds them of the beach. These treatments are therefore suitable for both adults and children, given that they have no contraindications. The saline solution is nebulized by an ultrasound nebulizer capable of transforming water molecules into tiny particles that create a mist effect, leaving all the beneficial properties of the saline solution suspended in the air. The saline solution is a mixture of purified water in which highly refined sodium chloride (NaCl) is dissolved. Salt concentrations vary according to the type of solution created and the type of treatment. 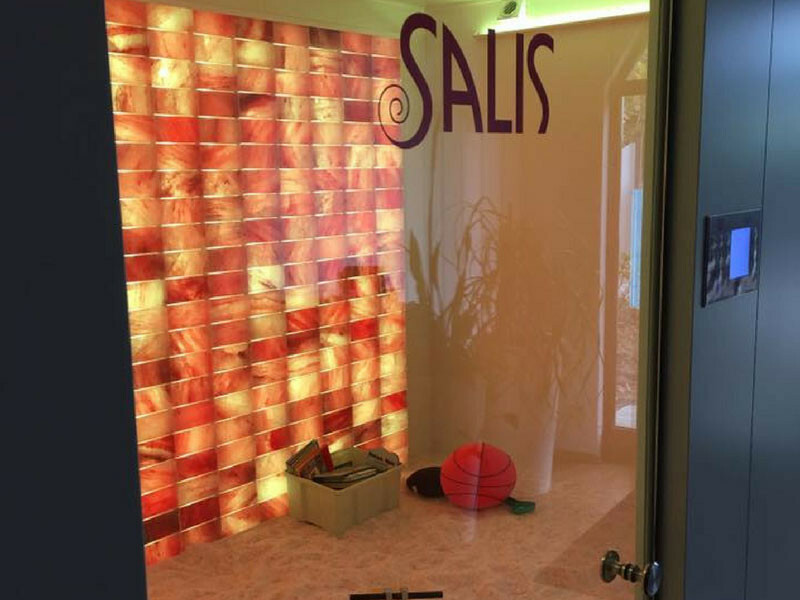 In its SALIS salt rooms, I.SO Italia recommends the use of a hypertonic saline solution with a concentration of 3-4% for halotherapy treatments, with a nebulization percentage of about 50% and an ambient temperature of 27-30°C. 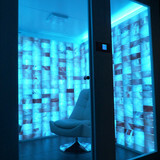 Halotherapy (“halos” in Greek means “salt”) is a natural (non-medical) therapy that consists in the administration by inhalation of sodium chloride in a saline solution, produced by a special nebulizer and inhaled inside an enclosed space – a salt room – in which there are walls composed of salt blocks that simulate the microclimate of a salt cave or grotto. 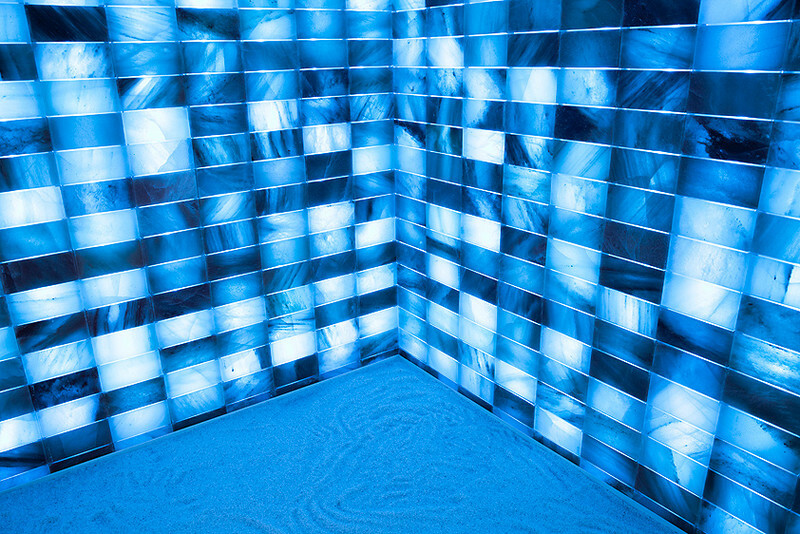 In the SALIS salt room, the microclimate maintains a nebulization percentage of 50% and a stable temperature of around 27-30°C, parameters that can be set with different values in case of personalized treatments. 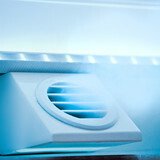 The environment gives the inhaled air an extremely low bacterial content. 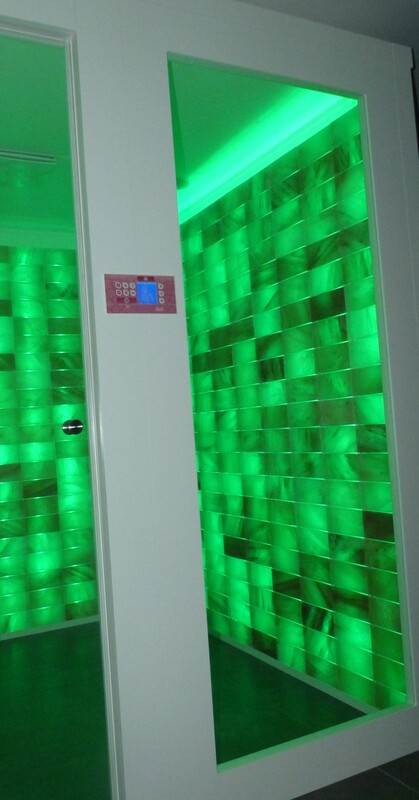 These parameters ensure favourable and comfortable conditions for the users being treated. Research studies in the sector show that the ideal treatment cycle is 15-20 sessions, lasting from 30 to 40 minutes and applied two or three times weekly. 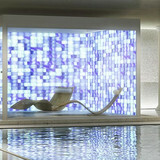 The benefits obtained can last for several months after treatment sessions. Repetition of treatment cycles is recommended every 6 months. 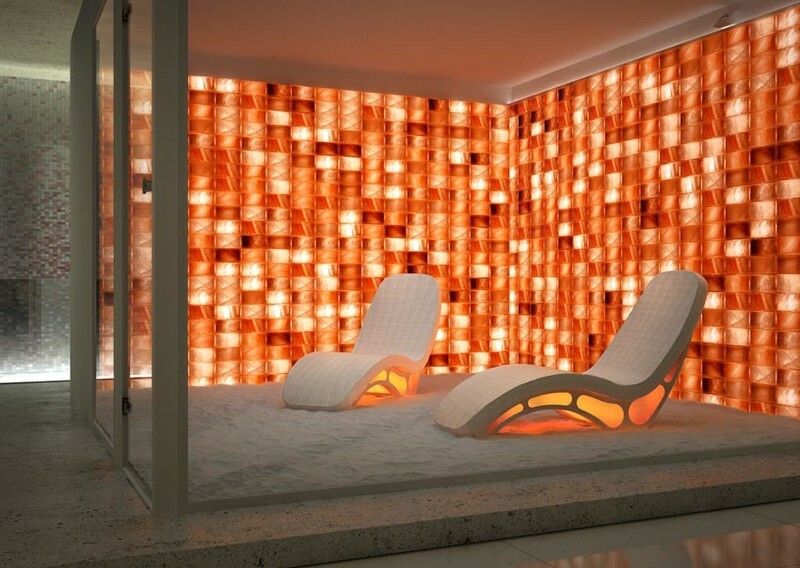 Halotherapy must not be considered to be an alternative to pharmacological treatments prescribed for chronic diseases. Given its characteristics, it is entirely natural and is intended as a complementary treatment for many ailments, and for the benefits it gives it can be recommended. 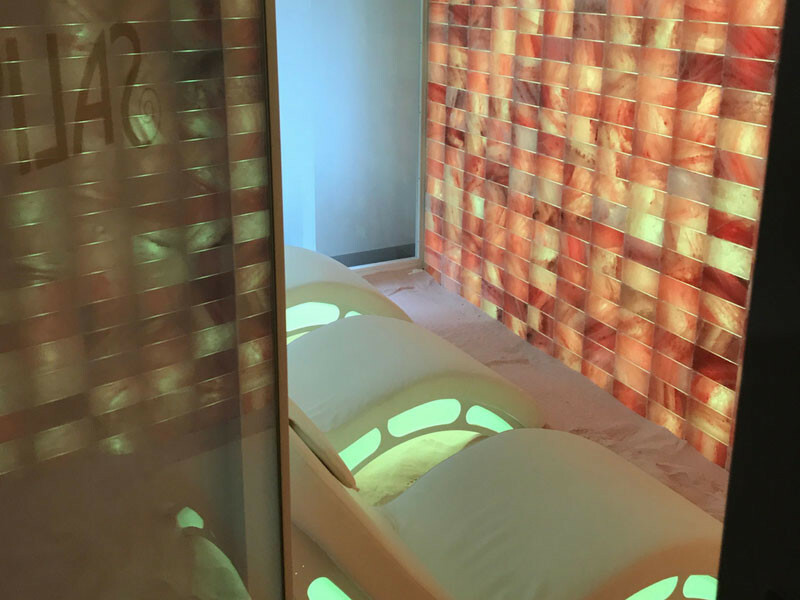 With halotherapy, 30-40 minutes of treatment are sufficient to simulate three days by the sea, where natural marine inhalation is possible. • Easy to install and without the need to carry out any work in loco; it is possible to eliminate the problem of corrosive residues on metal structures, inevitable when the salt, in the bricks or spray, are processed in loco. 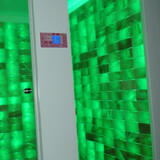 • Easy to maintain (there’s no flooring to the salt and the walls are easy to remove for inspection and maintenance). • Adjustment of the vaporizer using the electronic card to personalize music therapy cycles, concentration of salt spray, chromotherapy and aromas. • No connections required, thus making it easy to move. • Does not require an operator. 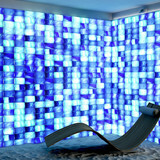 Extremely low running costs, low energy consumption and high earning power. 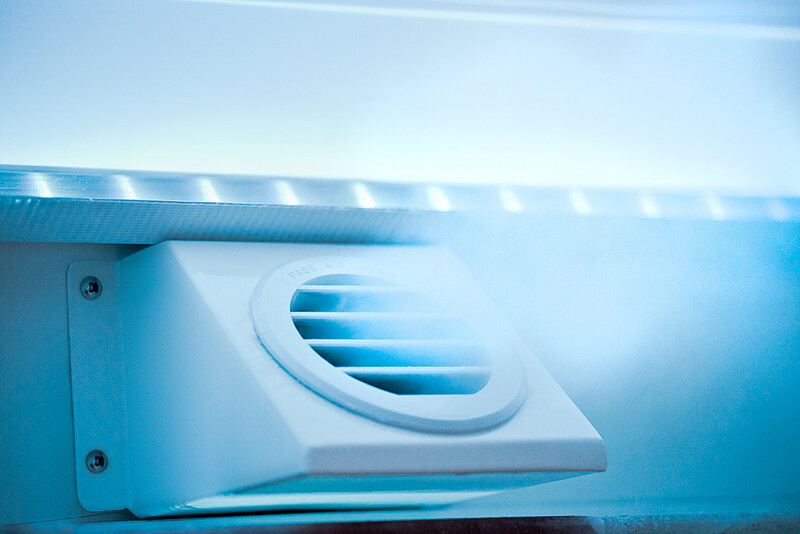 The air expelled may contain a saline component at a higher temperature, and therefore the expulsion outlet location must be suitably chosen to avoid situations of slight corrosion or oxidation.